It’s going to get worse before it gets better for Econet and everyone tied to it. According to a statement released by the mobile operator, Econet has asked its local and international suppliers to reduce prices by 15%. This move is directed at suppliers of goods and services. Any supplier who sells goods or services to Econet Wireless Zimbabwe, must cut prices by at least 15% or will be blacklisted as a supplier with effect from the end of July. 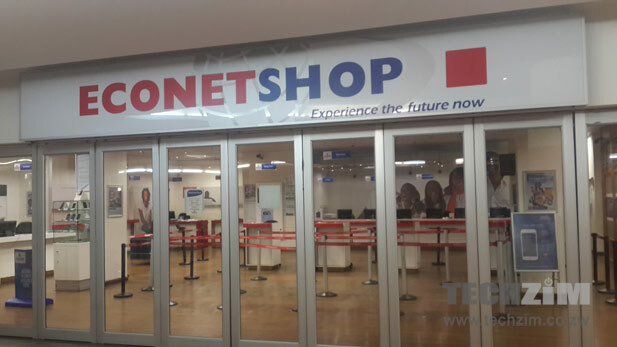 Econet has set up a task force, led by the head of Econet Global, Tracy Mpofu, to ensure that this, and other cost cutting measures are effectively carried out. The cost cutting measures are expected to last for several months. Recently, Econet Zimbabwe effected salary reductions that extended to staff employed at its subsidiaries, Steward Bank and Mutare Bottling. Now, these calls for reduced prices from suppliers will also affect the suppliers that have contracts with these same subsidiaries. We ourselves were forced to lower our prices by 40%, so if our suppliers don’t cut their own prices, we will go out of business. We do not think 15% is too much to ask others for. This environment of course, is more than just the tough Zimbabwean economy. Econet, like other mobile operators, has been at the receiving end of tougher operating conditions set by the government and the industry regulator, POTRAZ. Last year, mobile operators were given a directive to lower tariffs on voice calls, a business segment that has driven most of their revenues. There was also additional tax introduced on airtime credit, as well as a new duty on mobile devices that weighed in on the phone distribution units that these operators run and slowed down the increase of our national smartphone penetration rate. All this was on the heels of hefty payments on operating licences. Unsurprisingly, Econet posted lukewarm results which reflected a fall in profits and revenue. These huge indicators have since triggered a raft of changes in operations and services. Beyond these cuts, Econet has been doubling down on broadband services and taking measures to shore in and retain subscribers, whilst defending revenue lines from its cash cow, voice calls. While this marks a deeper transition into a dark period for telecoms operations, the question that remains is whether the action taken by the government through taxes and tighter conditions will yield benefit for everyone concerned in the long term. Lower tariffs have been most welcome by every subscriber, but the knock on effects of this, and the other measures taken have trickled down to a lot of businesses and individuals that weren’t necessarily enjoying the super profits that telecoms have been known to produce. How will the other operators respond? We have carefully analysed the prevailing economic situation, and we have taken the corrective measures to protect the business. We urge others to emulate our example by being proactive rather than to just sit and watch helplessly. Smartphone distribution in Zimbabwe – Whose line is it anyway? I really know nuts! This is nuts! Its bizarre! So Elder Econet seems to know cost structures of other companies? And they say they don’t think 15% is too much???? I think their accountants need to advise them that 15% can really be too much! You perhaps need to tell that to POTRAZ who force the Levies, Penalties, Charges, What what fund, so and so Licence, Tarriff cuts; then go to ZIMRA and ask them to review their duties, surcharges, taxes that they keep introducing every other minute they realise they are not going to make their Tax Targets! Kwete kuda kutangira kupopota padumbu pedambudziko! So 15% is “too much” and a 35% cut on tariffs isn’t? Ok guys, points noted. It was and has always been unfair for gvt to levy all sorts of taxes on the Telecoms sector. However, I still feel there was a much better, coordinated approach that Econet should have taken. How abt a Suppliers Conference for a start whereby all parties discuss and negotiate on an agreed position? What about giving suppliers enough time to adjust their business processes rather than to give them an early deadline – 31 July? In the current economy, its all about negotiations. Yes, suppliers may have to reduce their prices but a blanket approach will not work. If I am not mistaken, when tariffs were reduced, PORTRAZ had ‘done a research and requested telecoms to use a new pricing model’ (in quotes because this may not have been done correctly, knowing PORTRAZ/Gvt). One cannot simply make others suffer because they have been made to suffer. 15% might actually push some businesses with low margins out of business. A coordinated approach to this please – thats what I advocate for. Or perhaps it was done?? Eeehhh writer, shed more light on how Econet came up with this decision. ECONET is simply breaking away from the collusion of over charging. Long may the campaign go and may it extend to other areas. The environment is tough, plus certain service providers have been overcharging Econet. POTRAZ, GVT and ZIMRA have been hard on Econet, not to say they have made it easier for others. Econet is simply telling the current Government kuti matadza kutonga apa! It seems Econet thinks everyone was profiteering, we charging less than 10% to u guys but if u say 15% maybe u want us to remove VAT or some duties. We urge others to emulate our example by being proactive rather than to just sit and watch helplessly. Well it’s a deflating economy. Deflation and recession. This is what has to happen in such circumstance. Wage cuts and price cuts. Additional taxes and levies on leading profit making companies can’t really generate more revenue for treasury. Economy shrinks. Everything shrinks. It looks like Econet is sending a very strong message to the authorities here! Hatisati tatanga……this is just the beginning…. 15% isn`t much???? How we wish our margins were that high. How can we reduce with a percentage that`s way above our markup I am surprised that some sectors are still making margins that justify a 15% reduction in price.